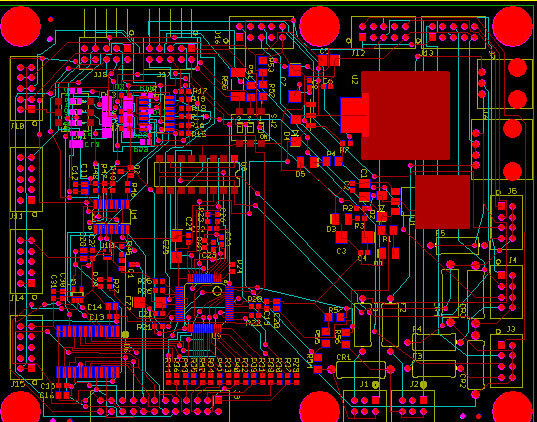 PCB Design/Layout - Engineering Development Laboratory, Inc. Regarding our design process, we typically redraw the schematic into our CAD system or convert the netlist into our native format. The board is then placed and a check-plot review and approval is done with our customer. A preliminary route is then performed and approved by our customer before a prototype board is ordered. We work with many CAD formats including plain Autocad drawings for schematics. For tight deadlines, a real-time interface is required with our customer for quick-turn prototype design/pre-production and fabrication. All design issues are addressed by both the design engineer and the project engineer at EDL working closely with our customer.